The Iowa Title Guaranty (ITG) Board of Directors has approved an all-inclusive, streamlined premium structure to improve the delivery of title services to Iowa lenders and home buyers. Under the new pricing structure, Iowa Title Guaranty certificates will be available for one flat-fee for coverage amounts of $500,000 or less, with no additional premiums for endorsements or closing protection letters. The new pricing structure also includes additional compensation for field agents issuing owner's certificates in conjunction with a paid lender's certificate. These changes will take effect July 1, 2019. 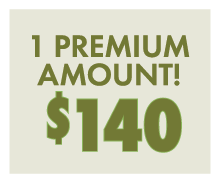 ITG currently charges a different premium rate for each lender certificate based on the type of transaction involved ($90 refinance vs. $110 purchase). 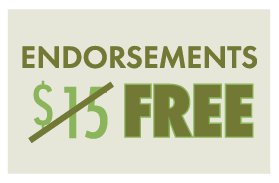 There is currently an additional charge of $15 for a majority of the additional endorsements that may be requested by the lender or owner. 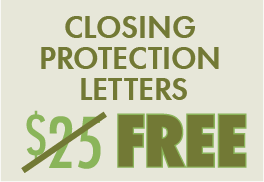 There is currently also an additional charge of $25 for a closing protecting letter. All endorsements issued as a part of the original transaction as well as closing protection letters will be offered at no charge. Field issuers are currently compensated $60 for each transaction in which an ITG certificate is issued, regardless of whether the transaction includes lender-only coverage, owner-only coverage, or lender and owner coverage. 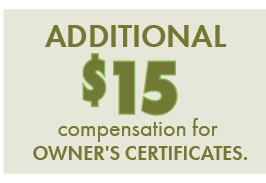 Field issuers will be compensated an add itional $15 for each owner certificate issued in conjunction with a lender's certificate. Please contact Matt Rousseau with any questions.